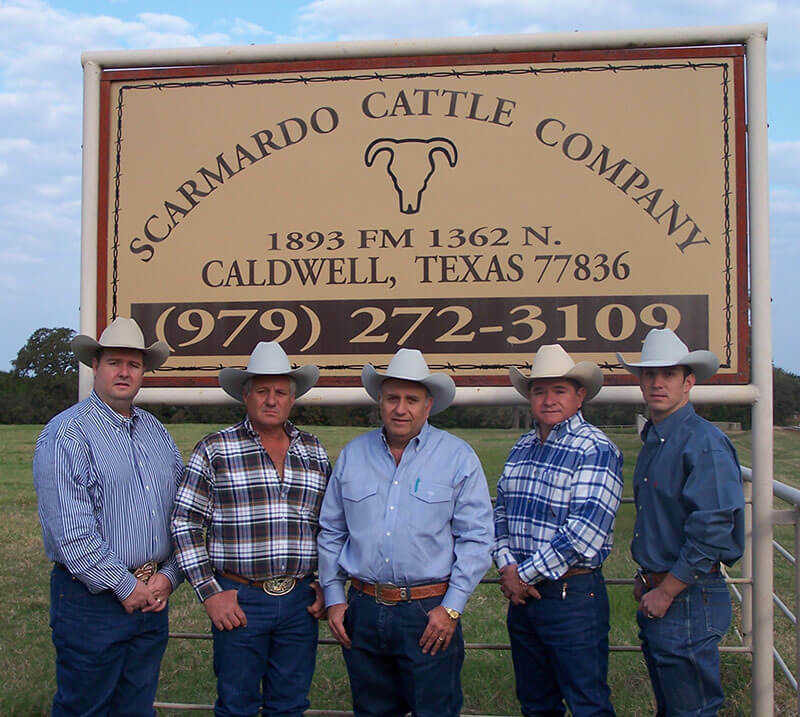 Scarmado is located in Caldwell, Texas and is a complex cattle order buying business that operates around the clock. Working Monday through Saturday, cattle buyers attend local cattle auctions bidding on stockers and feeders to fill specific orders for as many as 20 customers a day from the southern states to the Midwest. Being centrally located in Texas allows Scarmardo Cattle Company to keep the cattle they buy fresh and healthy by spending a limited amount of time in transit. Whatever your cattle needs, from little calves or packer cows, let Scarmardo Cattle help you find the fit that is right for you.